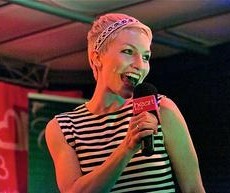 A live singer and entertainer from Chelmsford Essex, Joanna is currently performing all over the South East of England. Joanna is a fun, lively, versatile performer with a huge range of music for any event and people of all ages. Always making sure everyone has a great evening, she sings popular favourites from the last 6 decades and tailors each set to fit your tastes with music ranging from upbeat floor fillers to soft acoustic love songs!